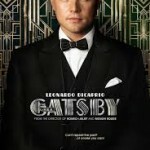 This is a great article on Gatsby Director Baz Luhrmann and his vision for the 21st Century Gatsby. Three things struck me that make me even more excited for the film’s release. The first is Luhrmann’s decision to have Nick Carraway, the story’s narrator, tell the story from a sanitarium as a severe alcoholic. Maybe I saw Nick as Sam Waterston’s version in the 1974 movie. Sam Waterston would never be a hopeless drunk – even during the Depression. But I think it was my original theory that Nick is really half of the personality of F. Scott Fitzgerald himself. The other part of his personality is Gatsby. Nick represents order and a sense of history. Nick envisions the Dutch sailors first glimpse of our pristine green shores. 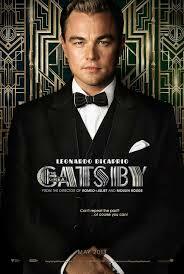 Gatsby is the dreamer who pushes the limits of achievement that creates and distorts the American Dream. Then I realized how Nick’s alcoholism makes sense. Like America after the excesses 1920s, he crashes. Americans were on a psychological roller coaster. We thought we had end the idea of war, then the worst of all wars, World War I, hit. Then we escaped into what seemed like the endless prosperity of the Jazz Age, only to have the phony economy destroy the wealth myth. For many of us, it sounds like today. Not only that, but Fitzgerald had his battles with alcoholism. His wife Zelda who battled mental illness died in a sanitarium fire in the 1930s. The third was how DiCaprio will play Gatsby. This makes sense. I mentioned a recent book called Quiet which shows how the 1920s gave us a change in our culture. We went from a culture of character to a culture of personality. Gatsby, as I have said, could be our first TV host with shtick and an underlying goal. Next post: Need for Constitutional Convention?